1. The stock market last year witnessed the biggest fluctuations since the global financial crisis in 2008. After five years of the stock index going up along with high economic growth rates (it was 47 percent in 2017), the stock market began declining in 2018. The VN Index had its highest ever peak of 1,211 points on April 10, but dropped sharply by 27 percent to the its lowest ever to 888 points on October 30. 2. The derivatives market kicked off on August 10, 2017 and grew steadily over the last year. The nominal trading value of the market by the end of 2017 once reached the record high of VND2.5 trillion per trading session. By October 2018, the figure rose to VND17 trillion. The number of derivatives transaction accounts increased by 2.2 times compared with 2017. The derivatives market kicked off on August 10, 2017 and grew steadily over the last year. The nominal trading value of the market by the end of 2017 once reached the record high of VND2.5 trillion per trading session. 3. The year 2018 saw huge stock divestments. The State, represented by SCIC and Viettel, divested 78.99 percent of charter capital in Vinaconex. Some huge IPO deals were made in 2018 which caught the special attention from investors. These included the IPO of Binh Son Refinery (BSR) worth VND5.5 trillion, PV Oil VND4.1 trillion and PV Power VND7 trillion. 4. FTSE Russell announced that Vietnam is now on the watch list to join its secondary emerging market ranking. If this occurs, the market will be able to attract billions of dollars worth of foreign capital, especially from international investment funds. 5. 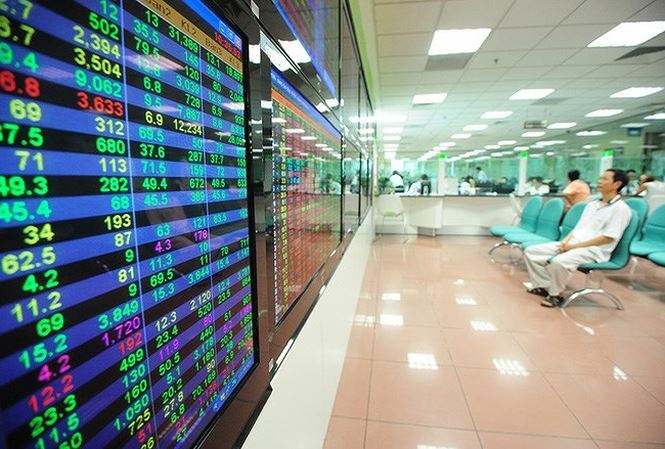 The HCMC Stock Exchange had two-day cessation after technical troubles occurred on January 22. A technical breakdown also occurred in May 2008 which led to an interruption of three days. 6. HDB, VHM, TCB and TPB prolonged the list of listed companies with capitalization value reaching at least $1 billion. The capitalization value of the stock market reached a record peak of VND4,090 trillion, equal to 81.7 percent of GDP in 2017. The appearance of more blue chips on the stock market attracted foreign capital with net inflow value of $2.89 billion in 2018. 7. The State Capital Management Committee (SCMC) presented itself before the public on September 30. SCMC will manage State’s capital and assets at 19 general corporations and economic groups. The State Capital Investment Corporation (SCIC) has been put under management of SCMC. 8. The project on amending the Securities Law was announced on November 8. It is expected that the amended law will lay a foundation for the merger of two stock exchanges.